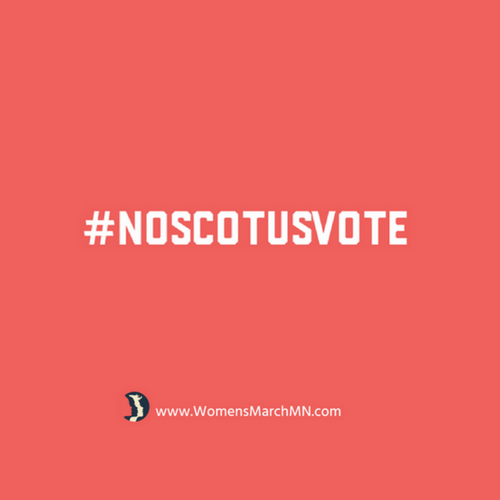 Act Now-Women's March Minnesota-Kavanaugh hearings - the vote is just around the corner. Take action now! Kavanaugh hearings - the vote is just around the corner. Take action now! The Kavanaugh confirmation hearings are ongoing. To follow them in real time, see here or find Day 1, Day 2 and Day 3 hearings on the same page. There’s been robust, probing and riveting questioning by some senators. At intervals through the days, protestors have shouted from the back of the room, before being removed. On the first day alone, 70 people were arrested. After that, space for members of public in the committee room was reduced by half. For more on Women’s March’s #CancelKavanaugh actions, follow here. A Senate vote to confirm Kavanaugh is expected as early as Sept. 13th in time for the new Supreme Court term on Oct 1st. There is still time to take action to #SaveSCOTUS. Sign up to phone bank with Indivisible to talk to voters in states with senators who are undecided. Another great way to help #SaveSCOTUS! 60 days until the Midterms! Wanna help #GOTV?